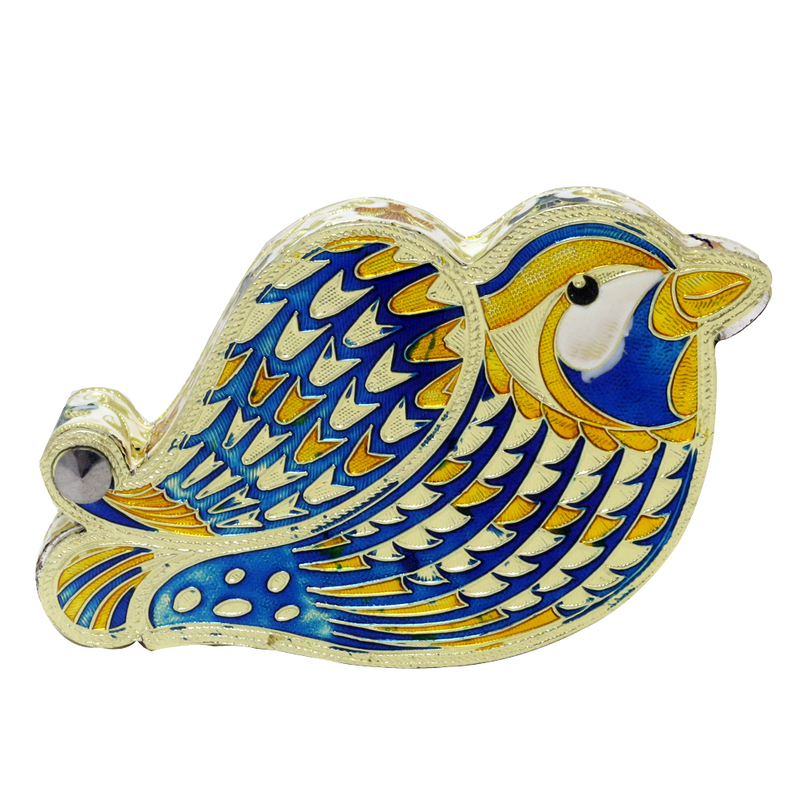 Handicraft ItemsJaipur Handicrafts OnlineWooden Dry fruit box with vibrant meenakari work done on every inch of it. Wooden Dry fruit box with vibrant meenakari work done on every inch of it. A warm mix of colours on this dry fruit box, makes every bite of the content taste better. Made from wood, this sparrow shaped dry fruit box is the perfect example of great ethnic touch with an amazing colour combination that enhances its Read More..look all the more. Perfect for giving out gifts on festivities and other occasions. Show Less..